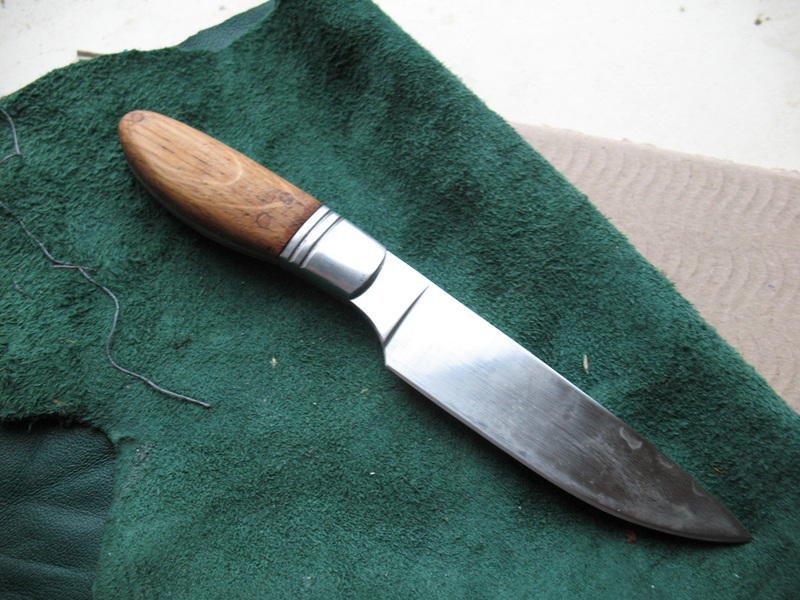 Got my first knife handle done today. All in all not too bad but the nest one will definitely be better. It's made of oak with birch pins and soaked in vegetable oil. Not sure actually what you would use this knife for, maybe for cutting cheese?